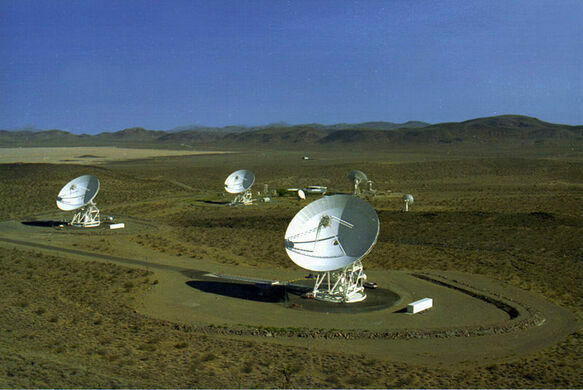 Where NASA's satellites and rovers phone home. 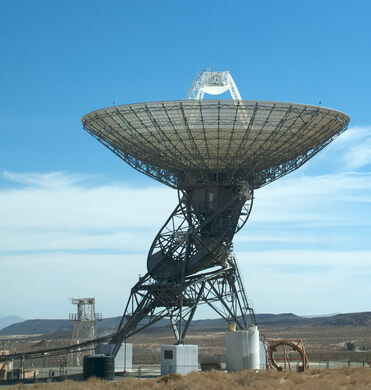 If setting up a satellite television dish sounds like a daunting task, then consider the job of picking up signals from rovers on Mars or satellites orbiting Saturn. That’s exactly the responsibility of the Goldstone Deep Space Communications Complex (GDSCC) at Fort Irwin in California’s Mojave desert. This unlicensed collection of fast food memorabilia sits on the site of the first ever McDonald's restaurant. 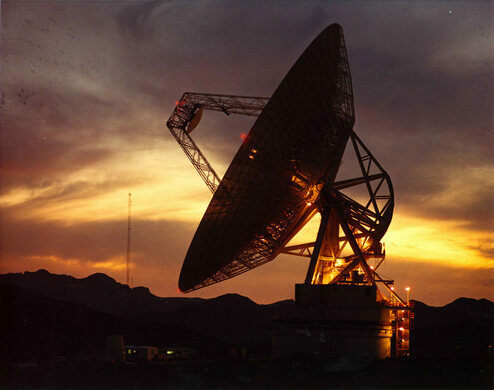 Built by the U.S. Army in 1958, the GDSCC is part of NASA’s Deep Space Network, a global system of large antennas and communications facilities that support interplanetary spacecraft missions. 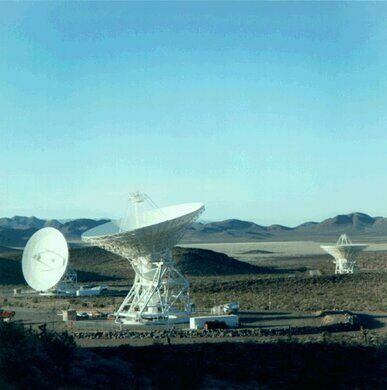 With three locations placed strategically around the world (there are antennas in Spain, Australia, and California) the Deep Space Network is able to continuously monitor and control the rovers and satellites that NASA and other space agencies send to explore other planets and moons. 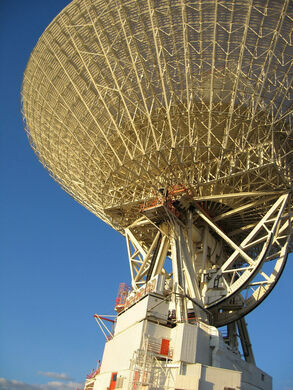 The antennas at GDSCC work in a similar fashion to the standard television dish. 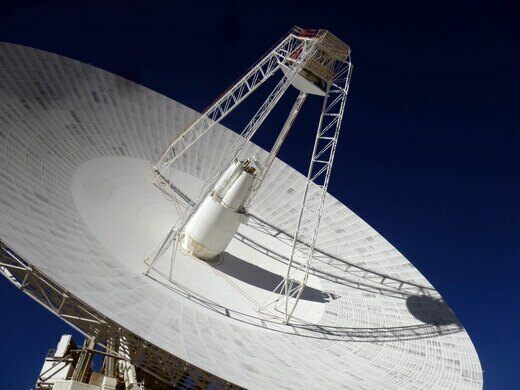 However, since the targets of the Deep Space Network are considerably farther away than television satellites, a much larger dish is needed to communicate with the spacecrafts. 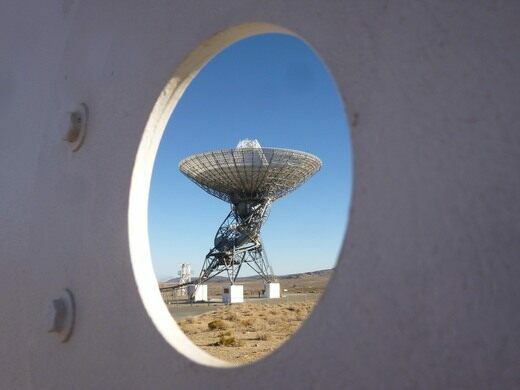 To be exact, the primary dish at Goldstone measures an impressive 70 meters across (nearly 230 feet wide). 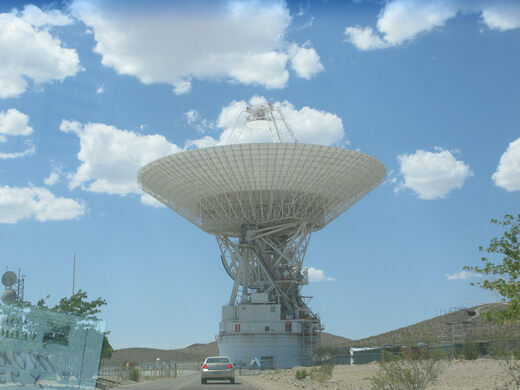 Along with the facility’s four other antennae, each 34 meters (about 110 feet) across, the Goldstone dish is also capable of doing its own science. 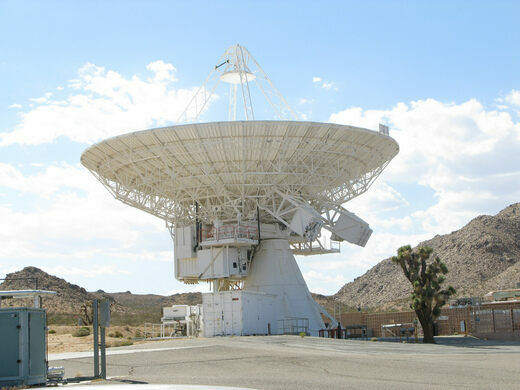 In the past the instruments have been used to create radar maps of the surfaces of the Moon, other planets, comets and even asteroids. Take the I-15 north towards Las Vegas, exit at Ft. Irwin Road. At the stop sign turn left. Travel approximately 30 miles to the Ft. Irwin visitor’s center. At the visitor’s center you will be asked to show all the required paperwork to receive a day pass for the base. After proceeding through the military guard gate, turn left at the yellow flashing light onto NASA Rd. Travel approximately 3-4 miles to the Goldstone guard gate. 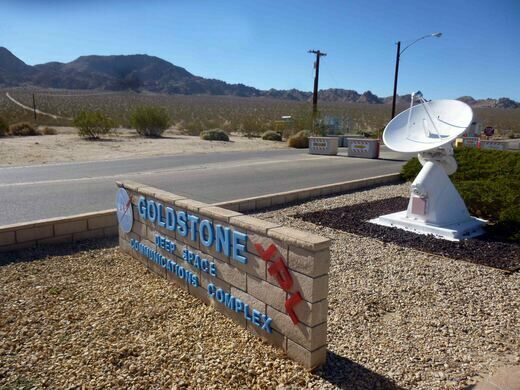 The same paperwork will once again be required to receive a Goldstone day pass. Please note: To enter Fort Irwin, you will need a valid driver’s license, vehicle registration and current proof of insurance. All adults on the tour must carry a current photo ID.